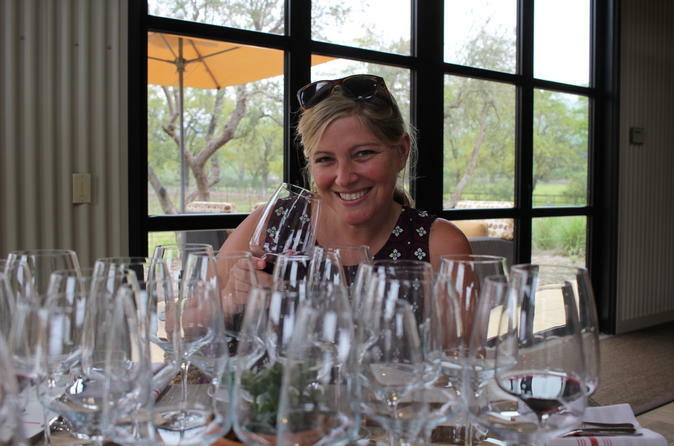 Discover the charming coastal town of Carmel and savor a series of tantalizing food and wine tastings on this 3-hour guided walking tour. 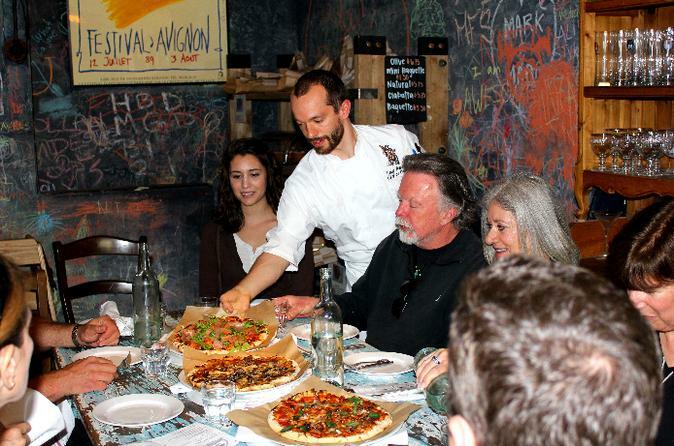 Your passionate guide will share stories about the history, culture and architecture of Carmel as you stroll to popular local restaurants and gourmet food shops to sample intriguing cheeses, delectable chocolates, artisanal pizzas and a variety of wines. Ideal for both tourists and Carmel residents, this tour is a leisurely and tasty way to learn more about this quaint town. This small-group tour is limited to 16 people, ensuring more personal attention from your guide. 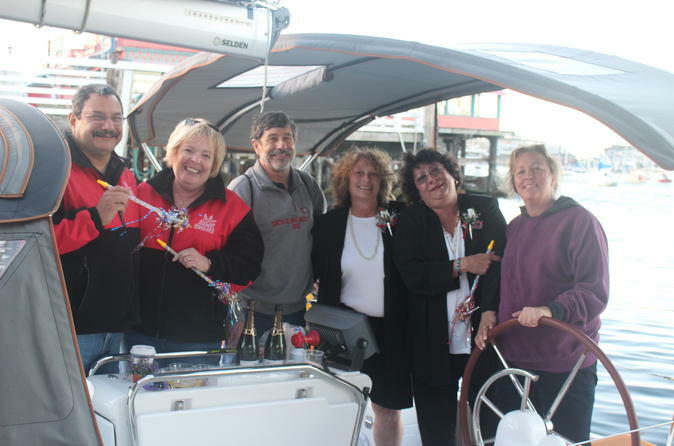 Bring your loved ones, small groups, and even your dog (we are pet friendly) to join us for a memorable 1-hour sailing cruise within the most bio-dense, and bio-diverse Monterey Bay Marine Sanctuary. Enjoy Monterey Bay, one of North America's premier sailing destinations, with a complimentary glass of wine and other beverages. During your sail, expect to see a large variety of mammals and birds! Explore Monterey Bay and the Central Coast in a GPS-guided Sea Car, cruising through town or along the Pacific on a 1-hour tour. 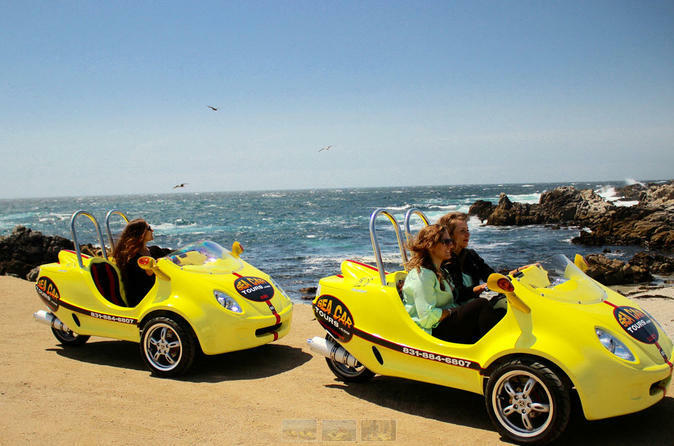 Hop into your own 2-seater convertible that navigates itself and provides narration about landmarks along the way, including Monterey’s historical buildings and beautiful ocean vistas. 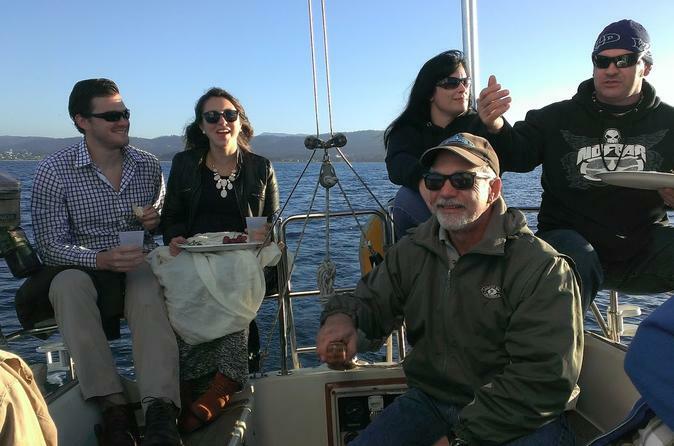 Bring your loved ones, small groups for a memorable sailing dinner cruise within the most bio-dense, and bio-diverse Monterey Bay Marine Sanctuary, and one of North America's premier sailing destinations. On this sailing adventure, you'll enjoy a 4-course meal while sailing past marine mammals such as sea otters, dolphins, and much more! Our our Dinner Cruise we offer Brie, Crackers, Grapes, Pear, a Spinach Salad with Cranberries, Glazed Walnuts, and a fresh grilled Salmon prepared on board. Macaroons for dessert finish this sensory extravaganza. California Chardonnay and Pinot Grigio wine accompanies. 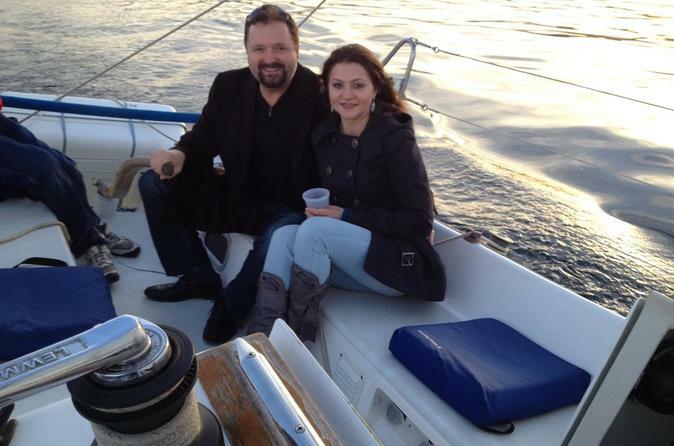 Our most-popular and romantic cruise with or without hors d’oeuvres. The appetizer option includes two hors d’oeuvres beginning with brie cheese, sliced pear, red grapes and stone ground crackers, and spicy red pepper humus and whole wheat pita. Sail alongside otters, sea lions, porpoise, and dolphins while watching a gorgeous Monterey Bay sunset with your sweetheart. 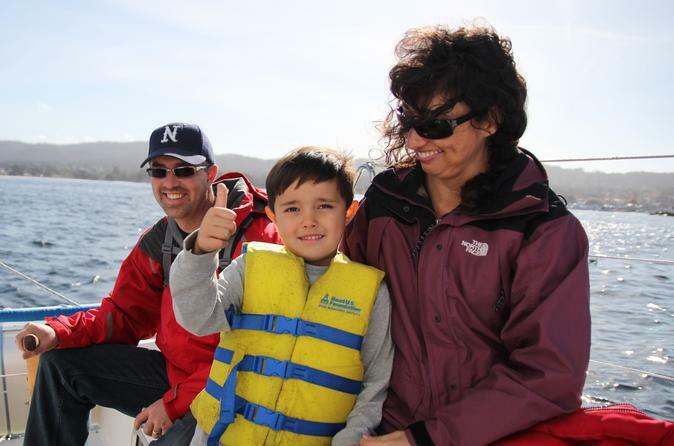 Share the wonders of sailing with your family and friends on this 2-hour private sailing cruise on Monterey Bay. Keep your eyes peeled, and you may spot grey, blue, and humpback whales, who spout water and breach as they migrate with their calves. Sea otters, dolphins, and vocal sea lions also frolic through one of the most pristine areas in the Pacific. 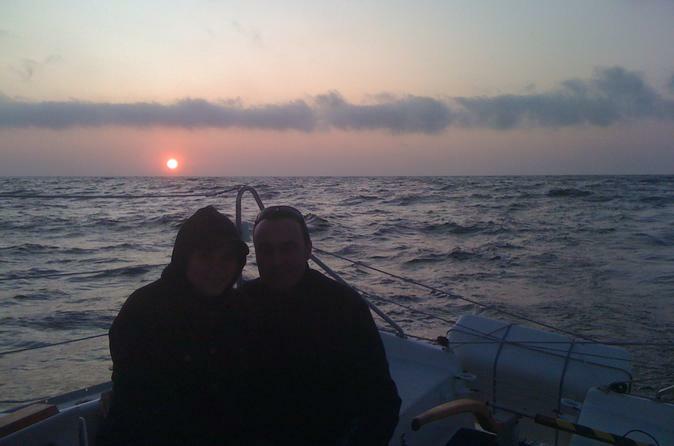 All sailors are offered a chance to take the helm and discover the grace and beauty of a boat under sail. Choose a captained cruise for a more relaxing voyage in the world's second largest marine sanctuary. The Original Monterey Walking Tours takes you away from the crowds to discover Historic Monterey and Cannery Row up close and on foot. 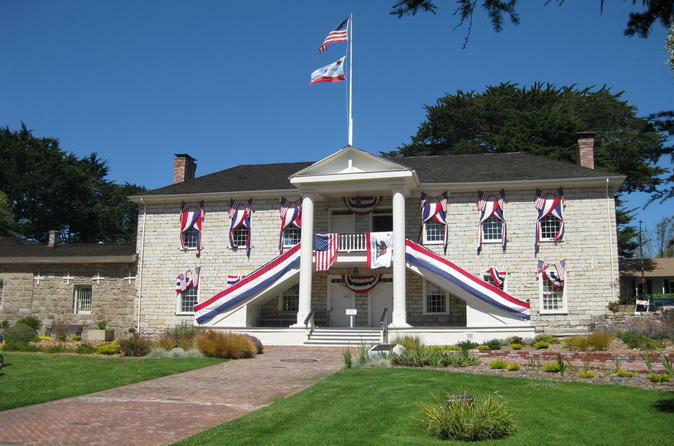 Walk your personal Path of History and visit sites made famous by John Steinbeck. These tours are informative, entertaining, highly rated and fun for all ages. This aerial tour takes you sightseeing by helicopter from Monterey, with expert narration by the pilot as you fly. 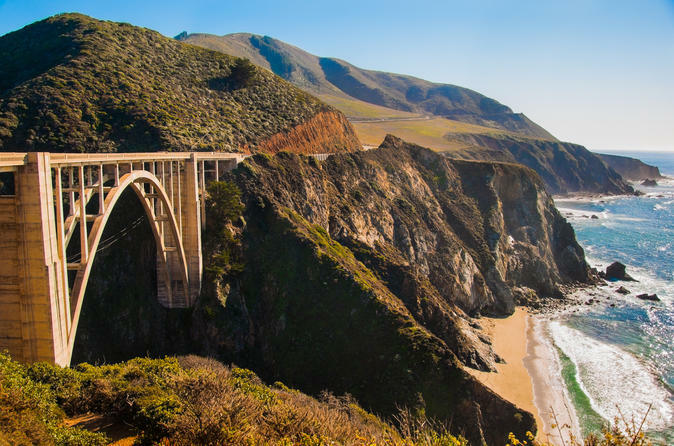 On this 60-minute grand tour along the Central California coastline all the way to Big Sur and back. Cast your gaze over the Pacific Ocean, and keep an eye out for migrating whales and other marine life. Explore Monterey Bay and the Central Coast in a GPS-guided Sea Car, cruising through town or along the Pacific on this 3-hour self-drive tour. 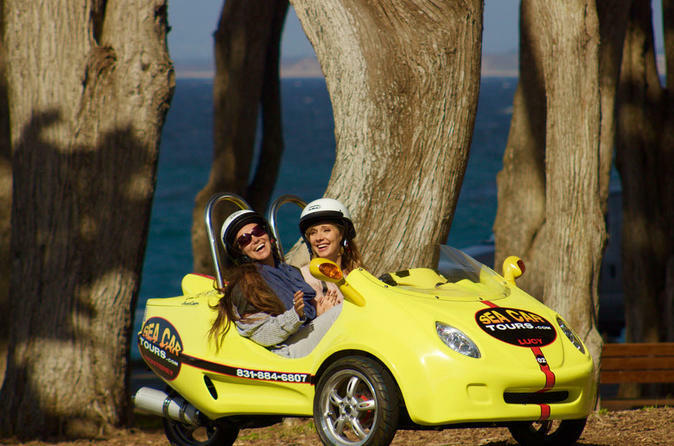 Hop into your own 2-seater convertible that navigates itself and provides narration about landmarks along the way, including Monterey’s historical buildings and beautiful ocean vistas. The talking scooter car tells you where to go, from downtown, Lake El Estero and Cannery Row all the way to Pacific Grove’s butterfly sanctuary and Asilomar State Beach. 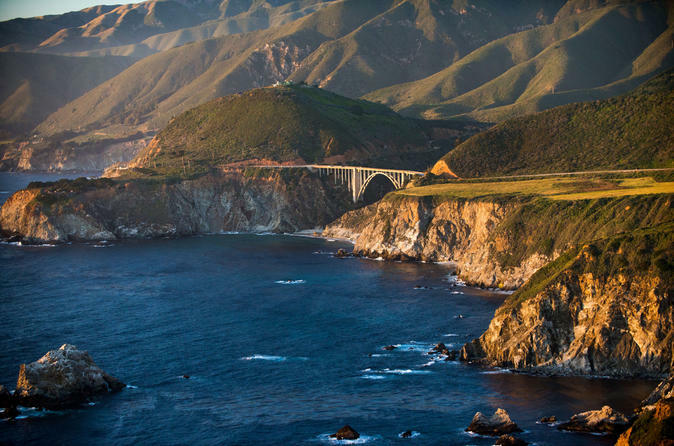 Cruise down the iconic California coastline on a private day trip from San Francisco to Monterey and Carmel. Trace the craggy cliffs that line the spectacular Pacific Ocean along Highway 1 to the Monterey Peninsula. Stop at Cannery Row, made famous by Steinbeck’s novel. 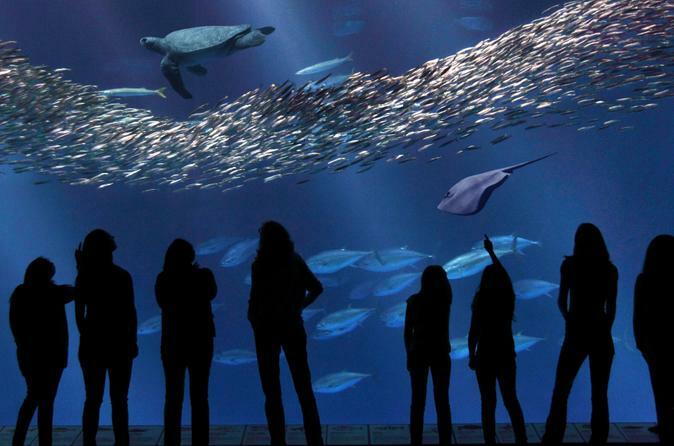 Explore the Monterey Bay Aquarium, one of the best aquariums in the world, to observe a variety of sea life. Stroll through the magical jellyfish exhibit, get up close with sharks and sea otters and see 30,000 other strange and beautiful sea creatures. 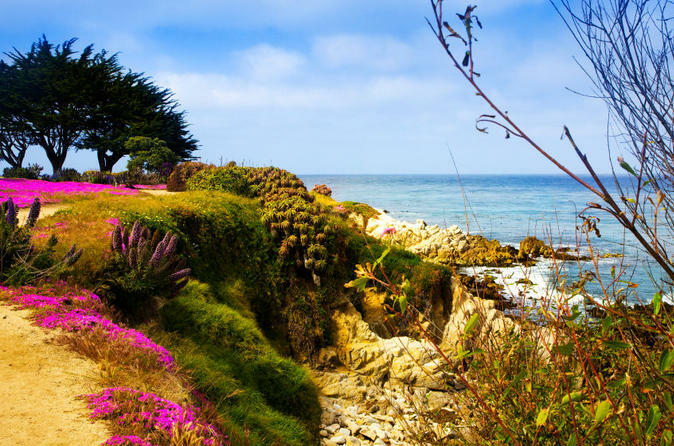 You’ll have four hours in Monterey and then a stop to enjoy the natural beauty of Carmel-by-the-Sea before returning to San Francisco through Silicon Valley. This Carmel helicopter tour takes you from the Watsonville airport out to Moss Landing and Elkhorn Slough. Then down the coastline to Monterey and around to Carmel. This is our favorite tour/price combination as you get the full experience of this regions best scenic destination along with a fantastic price point. 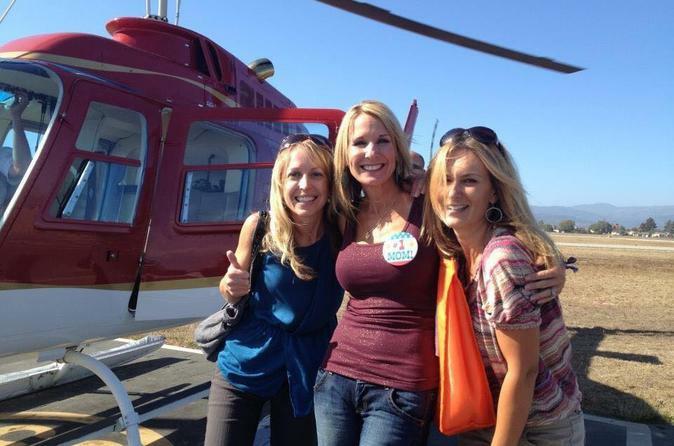 This aerial tour takes you sightseeing by helicopter from Monterey, with expert narration by the pilot as you fly. 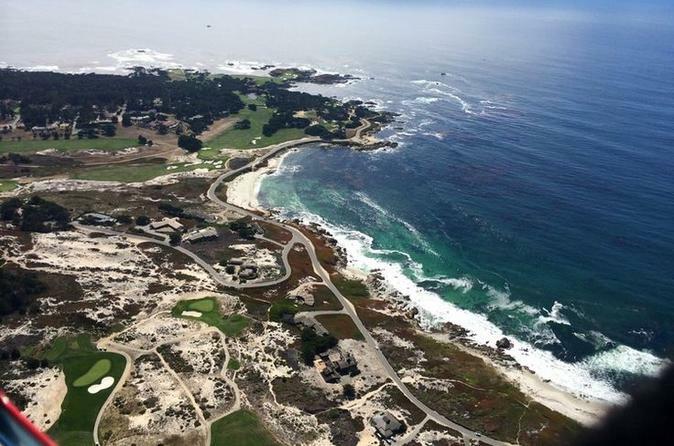 On this 30-minute flight around Monterey Bay, tour along the Central California coastline. Your pilot will narrate your trip and take you to the best spots around the bay as you snap pictures and get inspired by the view. See Point Lobos, the Monterey Bay, Pebble beach and all the other stunning locations around the general area. 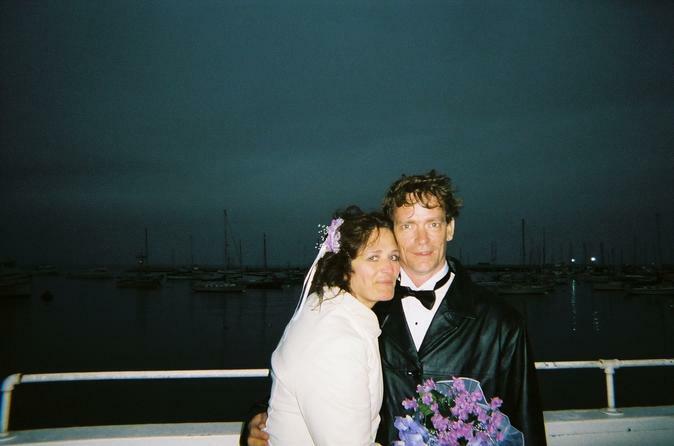 Enjoy a stunning Private Wedding Cruise on a beautiful sailboat on Monterey Bay. Fantastic ocean vistas at every turn. This is one of the best coast drives anywhere! Highlights include Monterey historical buildings, Fisherman's Wharf harbor views, Cannery Row, Lover's Point and many amazing view stops. Get up close with deer (providing they are out), sand dunes and cypress trees. Plus see Pacific Grove, including downtown and historic points of interest, butterflies permitting. Sail alongside sea otters, sea lions, porpoises, and dolphins while you watch a gorgeous sunset during this popular 2-hour cruise on Monterey Bay. Experience a romantic sunset sail with your sweetheart and observe Monterey's world-renowned marine life while you're served unlimited wine, beer, or soft drinks on board.